Aland is the VP of User Acquisition and Digital Marketing for Magic: The Gathering Arena at Wizards of the Coast. 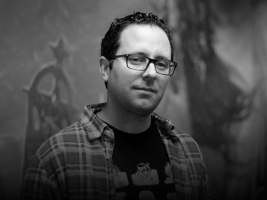 At Wizards, he is responsible for growing the digital Magic brand. Prior to joining Wizards of the Coast, he served as a marketer on multiple high-profile game franchises, including Hearthstone, Call of Duty and Destiny. He began his career in Children's Television at Warner Bros. Entertainment as part of the prestigious Global Trainee program and then at Yahoo! where he worked in media advertising for both their games and emerging markets businesses and was a recipient of the Yahoo! Futurist Award. Aland is a graduate of Harvard Business School where he earned his Master in Business Administration and the University of Redlands, where he studied Spanish Literature and Business. When not playing video games, he's been known to annoy neighbors with his heavy metal drumming.